Daunia, a region in east-central Italy, was home to the group of native Italians who created these three pieces of pottery. 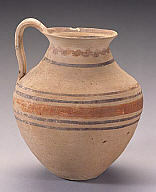 Many examples of Daunian pottery-lively and idiosyncratic-have survived due to their inherent strength in manufacture. Daunian ware is characteristically rounded, with bold and colorful geometric patterns. 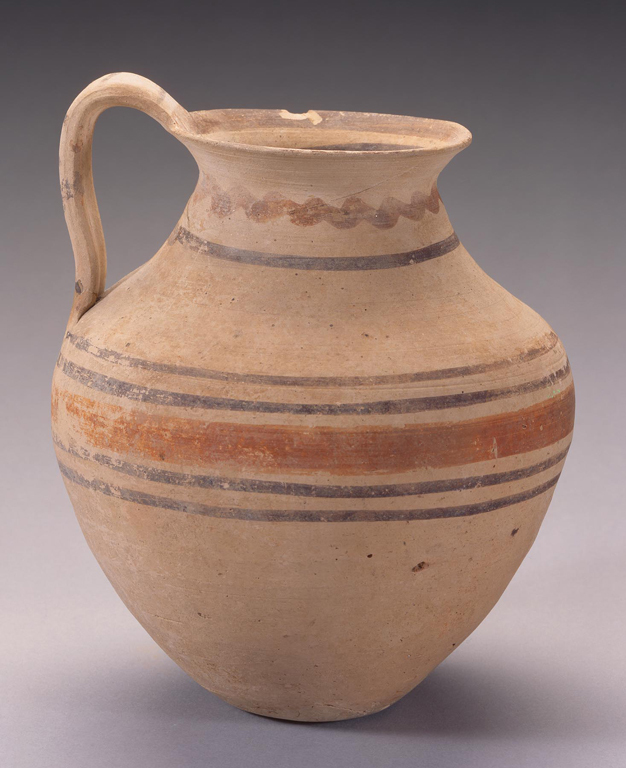 Although exuberant in comparison to refined Greek taste, Daunian pottery forms were adopted by the neighboring Greek colonists.